Meet us at the Mostra Convegno Fairs in Milan! 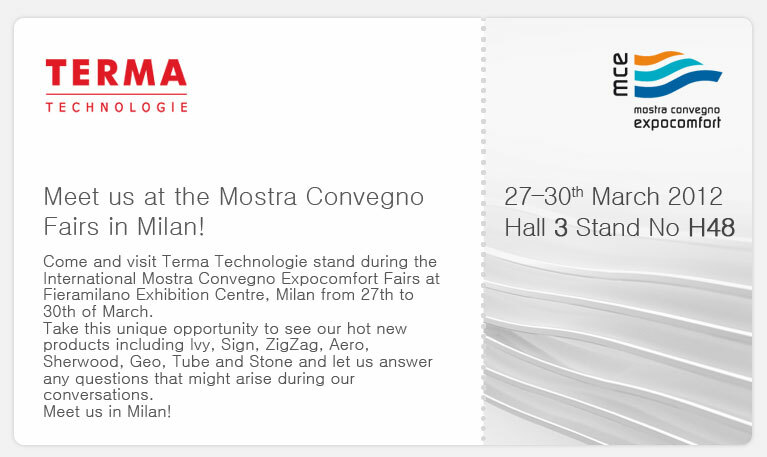 Come and visit Terma Technologie stand during the International Mostra Convegno Expocomfort Fairs at Fieramilano Exhibition Centre, Milan from 27th to 30th of March. Take this unique opportunity to see our hot new products including Ivy, Sign, ZigZag, Aero, Sherwood, Geo, Tube and Stone and let us answer any questions that might arise during our conversations.